From launching Hashtag Printing it was easy to see that our product would be a perfect fit for certain demographics. The most prolific user groups tends to be between 18 and 25, in this catchment the majority of individuals are very active Instagram and Twitter users, with a large amount of followers in a similar age group. This fact makes Universities and Student Unions events a great place to feature Hashtag Printing. 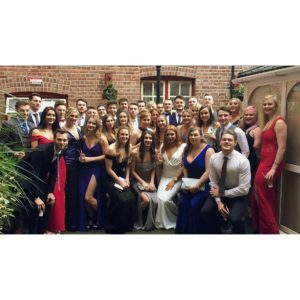 For many years we have been working with various Universities to assist with award ceremonies and graduation events, helping students turn their selfies with Uni mates into lasting keepsakes that they will keep for years to come. The organisations we work with at such events really benefit from the increase in social media engagement Hashtag Printing creates, plus helps students to create keepsakes from some memorable university events. If you work along with a university or a student union please get in touch and we can let you know how we can help enhance your event.